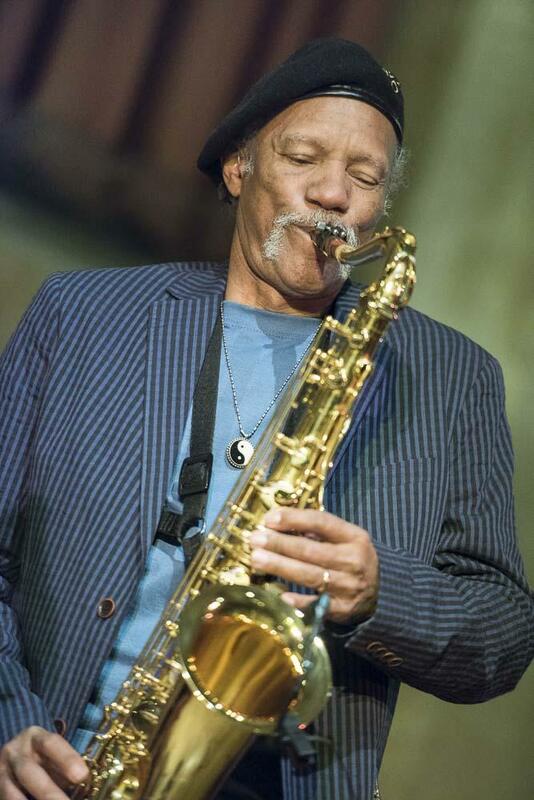 Charles Neville died on Wednesday, April 25, aged 79, at his home in Huntington, Massachusetts. He'd been ill for several months with pancreatic cancer. His brother Aaron, who appeared at a tribute concert for Charles at the Academy of Music in Northampton in February, confirmed his passing with WWL-TV in New Orleans on Thursday (click here to hear Aaron speaking with news anchor Eric Paulson about his brother), and the sad news gradually reached us here in Western Mass where the second oldest of the Neville brothers had lived for 20 years. Kyle Holmstead, who produced the tribute concert, phoned me Thursday afternoon and said that Barack Obama had written a letter to Charles two weeks ago expressing concern for his health and gratitude for his music. On Saturday, The New York Times posted a substantial obituary of the saxophonist by its longtime music critic Jon Pareles. It's been good to see Charles, whom Aaron called "Horn Man," receiving this kind of respect, for while his surname alone carries a high degree of recognition, his career had a distinct identity apart from his membership in the world-renowned Neville Brothers. While his brothers Art ("Mardi Gras Mambo") and Aaron ("Tell It Like It Is") were pursuing solo careers as singers in New Orleans in the '50s and '60s, he spent many long years on the road with r&b legends Johnny Ace, Jimmy Reed, Fats Domino, Big Joe Turner, Little Walter, Larry Williams, O.V. Wright, B.B. King, Clarence Carter and Johnny Taylor, followed by a couple of decades in New York where he did studio work and connected with the city's modern jazz scene. It was Charles's soprano saxophone solo that earned the Neville Brothers a Grammy Award in 1989 for Best Pop Instrumental Performance for "Healing Chant." Charles was born in New Orleans on December 28, 1938, and raised in the musically rich, notoriously violent Calliope housing project. A living legend in his hometown, he became a local hero with his move to Western Mass (where his wife Kristen was raised) and ubiquitous presence on area bandstands with Evelyn Harris, Roger Saloom, Paul Arslanian, Zack Danzinger, the New England Nevilles, featuring his young sons Khalif and Talyn, and the late Art Steele. He and Kristen took the lead in establishing the annual Springfield Jazz & Roots Festival at Court Square in 2013, and one now hopes that it will live on as part of his legacy. At the 2014 festival, Charles surprised me when after completing his late afternoon set, he said that he was heading to Hartford for a gig with guitarist Jeff Pitchell. I asked him if he ever purposely took a night off? "It's tempting," he replied, "but I know I'd just sit at home waiting for the phone to ring." I felt especially honored when Charles agreed to appear at the Jazz a la Mode 30th anniversary party in 2014. "Just tell me the time. I'll be there," was his ready answer. I spoke with Charles on many occasions, but never really interviewed him, largely because he shared so much of his life's story with me in conversations-- backstage, on the street, over a pot of tea, at community functions-- that to have asked him to repeat it all in a Q&A behind microphones would have felt unnatural. Now, of course, I wish I had, for Charles had a powerful story to tell, one that he was skilled at placing in the context of cultural currents, and was trusting and self-possessed enough to relate with remarkable candor, and a good deal of humor. Notwithstanding the harsh and sometimes bizarre particulars of a career in which he hit the road as a 15-year-old in the segregated South with the Rabbit Foot Minstrels and spent a decade with r&b cavalcades, battled heroin addiction, and served jail and prison terms, including several years at Angola ("for two joints"), it was a story he invariably told with a hearty laugh and a smile I will never forget. Speaking of which, Aaron, who like his brothers Art and Cyril, could display a brooding look that tended to belie the joyous harmonies and rhythms of their music, said that one look at Charles's "infectious smile on the stage next to me would always give me a smile." One chapter of Charles's story that he related with a good measure of ironic detachment involved a gas station and general store in the Florida Panhandle where the proprietor was also the local sheriff. Charles was touring with Larry Williams, whose Lincoln Continental had a provocative hood ornament and a homemade rear bumper sticker reading, "This car stops for white women." The sheriff spotted the sticker while filling the tank and found some trumped-up grounds on which to lock the band up in the backroom holding cell of the store, and when it was "lights out" for business that evening, the place turned pitch black. Awhile later, when the guys heard the door to the place creek open, they got real nervous, but much to their surprise, it was the sheriff's wife bringing them a delicious, home-cooked meal. Another involved Angola Penitentiary, where Charles did time between 1963-66, a sentence of hard labor for possession of two joints, four-plus years of constant concern for his safety and well-being. But in one respect Angola was a step ahead of his birthplace, which forbade black and white musicians from appearing on stage together well into the '60s. Angola maintained segregation between inmates, but "there was only one music room, so white and black musicians shared that." Neville's fellow inmates included pianist James Booker and drummer James Black, and he said there were excellent white musicians in the population too. He recalled that when the 1964 Civil Rights Act required the prison to integrate, "White" and "Colored" signs were covered with whitewash rather than paint, so certain were officials that the federal legislation would be overturned. 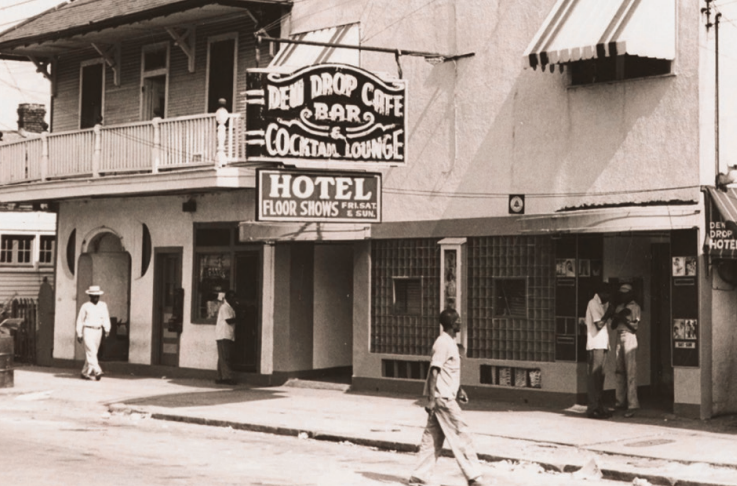 Charles was often eager to recall the golden age of the Dew Drop Inn, the fabled New Orleans nightclub and hotel that served African Americans between the late '30s and 1970, when it closed. The property is still owned by the grandson of its longtime proprietor Frank Painia, and was recently designated by the Louisiana Landmark Society as an endangered historical building. A campaign is underway to restore it. Charles wrote to me a few years ago to say that he and Kristen had toured the dilapidated structure, and that he'd "love to play there again." The Dew Drop that Charles played as a member of the house band was not only a hotbed of blues and r&b in the Crescent City, but a club that hosted drag queens Patsy Vidaler and Little Dot, r&b legend Bobby Marchan, who occasionally worked as a female impersonator, and Little Richard. Its motto was "Night or Day, Drink, Dine, and Be Gay." He spoke with respect and sadness for the white women who chanced hanging out at the club and risked being harassed and arrested by NOPD, and he told me in harrowing detail of an incident in which a white female patron was beaten by police. Charles turned his life around in the mid-'80s, and it was moving to see this gentle master making music with his sons Khalif and Talyn, and to see him speak before young kids in Springfield about the life-enhancing, affirmative power of music. Aaron called him "Charlie the horn man," and said his brother had a transporting power as a saxophonist. "He could take me to Egypt with one note," he told WWL-TV. A listener to Jazz à la Mode wrote the other night to say he didn't realize Charles was such a superb player in the "romantic jazz tenor tradition" until he saw him in recent years playing standards with the Green Street Trio at the Northampton Jazz Workshop. My own memory of those great shows makes me wish not only that I'd got some of his story on tape, but that he'd recorded more jazz albums. He left us a couple, anyway, including Charles Neville & Diversity, an excellent 1990 Laserlight session with New Orleans homies Tim Green, Michael Ray, James Singleton, and Johnny Vidacovich. He also soloed masterfully on Aaron's recording of the classic blues ballad, "Since I Fell for You," on the latter's standards album, Nature Boy. Alas, with Charles's passing, the memory of Aaron's appearance at the Academy of Music, where he was joined by Branford Marsalis for a set of sublime pop and r&b standards, will resonate for a good long while. Charles died on the eve of this year's New Orleans Jazz and Heritage Festival, where tributes have been paid all weekend. Many of us are in mourning "up here" too. Charles was a wonderfully warm and soulful presence in these parts, reflecting what his brother Cyril saw as a man who "brought light and love everywhere he went." He cultivated an inner peace through his study of Eastern philosophies and Tai Chi, and lived his last years feeling, as he titled another of his albums, Safe in Buddha's Palm. One of Charles's final recordings was this beautiful performance of his original song "African Eyes," which he recorded with his son Khalif on the 21-year-old pianist's album, Wishin'. 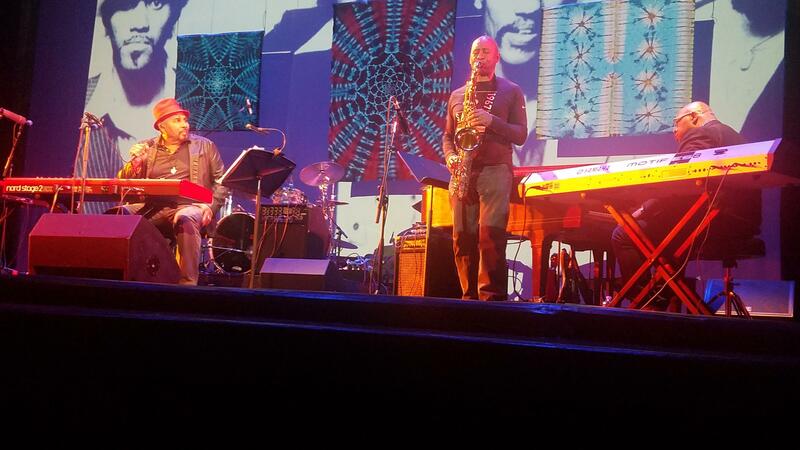 Khalif reprised the song with Branford Marsalis at the February 3rd tribute concert. Charles named Johnny Hodges, Charlie Parker, John Coltrane, and Sonny Rollins as the saxophonists who influenced him most, but always added Professor Longhair as his main man among New Orleanians. 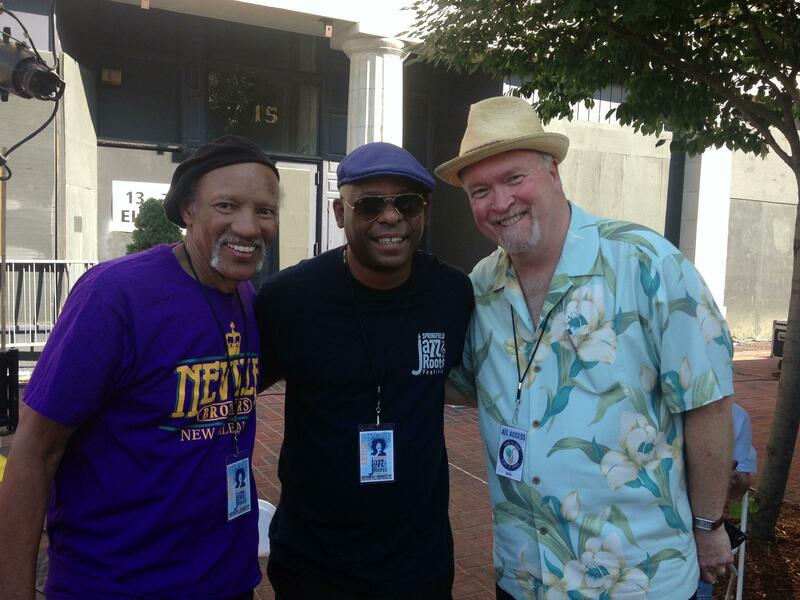 As New Orleans's first family of funk, the Nevilles played the closing set at Jazz Fest for over 20 years. Here they are at the Fairgrounds with the second line groove of Fess's "Big Chief." Charles Neville, Rest in Peace.